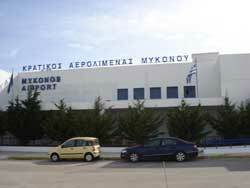 The airport of Mykonos is located after the area Drafaki in Mykonos about 4km from the town centre. There are daily flights from Athens with both Olympic airlines and Aegean airlines. During the summer season there are flights to Mykonos with many budget international airlines like Easy Jet from London (Luton) and Milan Malpensa, Air Berlin and German Wings from several airports in Germany and Swtzerland. There are also connections with the islands of Crete and Rhodes with the small airline Sky express. 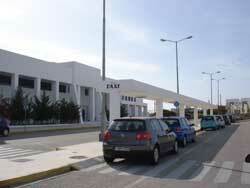 The airport facilities are in a modern white building with 2 passenger terminals and one freight terminal. The runway length is 1900 metres. Outside the airport there are bus and taxi stops. You can get buses to the airport from Mykonos town.